One of many reason why I love the beach because it’s also the best place to enjoy the blue sky and white of clouds. See this photos that I have taken at the island in Sunda Strait, on March 2013. 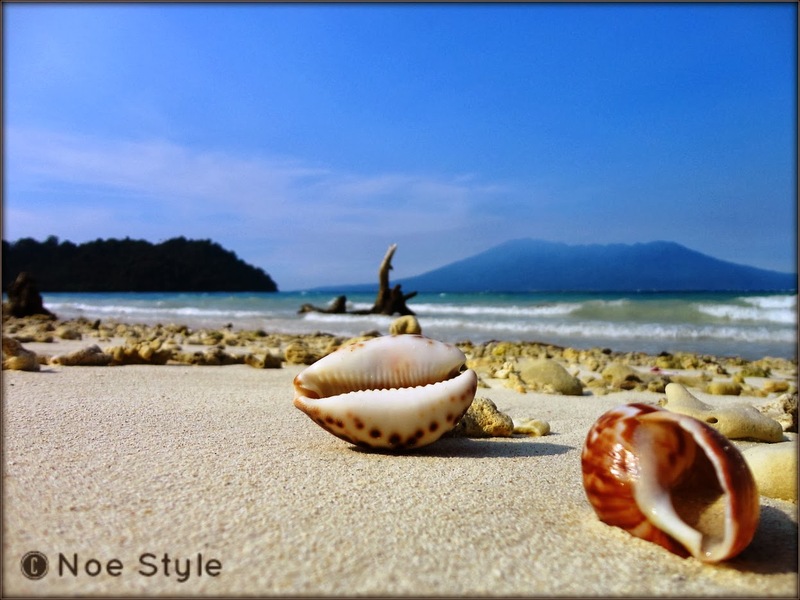 It’s not only sky and clouds in blue and white, but also the sea, shells, and corals. At Muara Angke pier, I found this blue and white from the boats. Although I was a bit disappointed because the sea and sky were grey, but the view after leaving the pier is so wonderful. Island Hopping is also the best way to enjoy a vacation. The gulf of Jakarta, April 2013. Or also you may like this. It was taken with my samsung smartphone at Tanjung Bira, South Sulawesi. I call it paradise! September 2013. I particularly like the first two… a really nice perspective. Oh my gosh, I love the first photo. It’s winter here in New Jersey. Your beach pictures are wonderful. Hahaha.. so I’m lucky because it’s summer along the year. Emm.. I mean there is no winter and I’m dreaming to play with snow. Wonderful! Thanks for joining the challenge.